Following our latest Fusioo App Builder update, today we're launching one of the most requested features, the all new Formula Field. 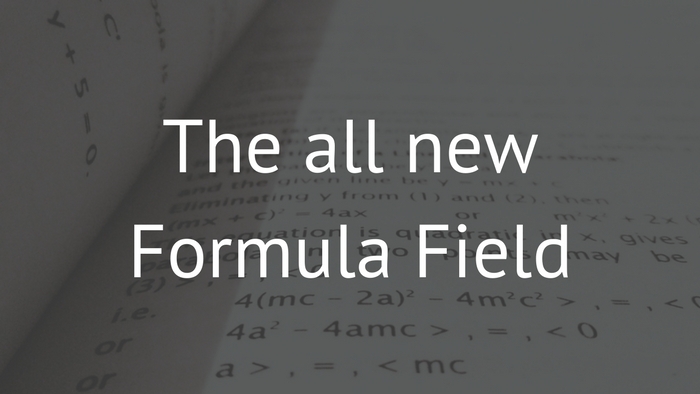 We've made the Formula Field (formerly called Math Calc) easier to use, powerful and dynamic. We've added dropdowns to reference Fields and variables - reducing typos and other common mistakes when constructing formulas. 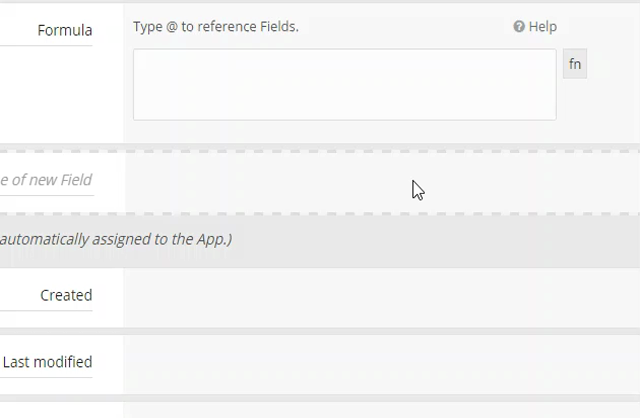 To get started, type the @ symbol and choose your field. Note: Your existing formulas have been updated automatically and are already using this new format. We've also implemented aggregate functionality that works exclusively on related Apps. You can now use COUNT, SUM, MAX, MIN. Note: You can also reproduce average (AVG) functionality by dividing the SUM total by the record COUNT. We're also making the formula result type dynamic. Results can be one of four different types: Text, Number, Date or Boolean. What this means is that you can mix different data types (text, dates, numbers etc.) when constructing your formulas and Fusioo will automatically figure out the result type. This also means that you will be able to use dashboard filters and saved views as you would on any other Field. We've also included a good amount of in-built functions. Logic. if() - supports And, Or, Not and various comparison operators. To get started using in-built Functions, just click on the 'fn' button, choose a function and modify the function template. We hope you enjoy this new update. As always, if you have any feedback or find any issues, let us know in the comments below or via email!